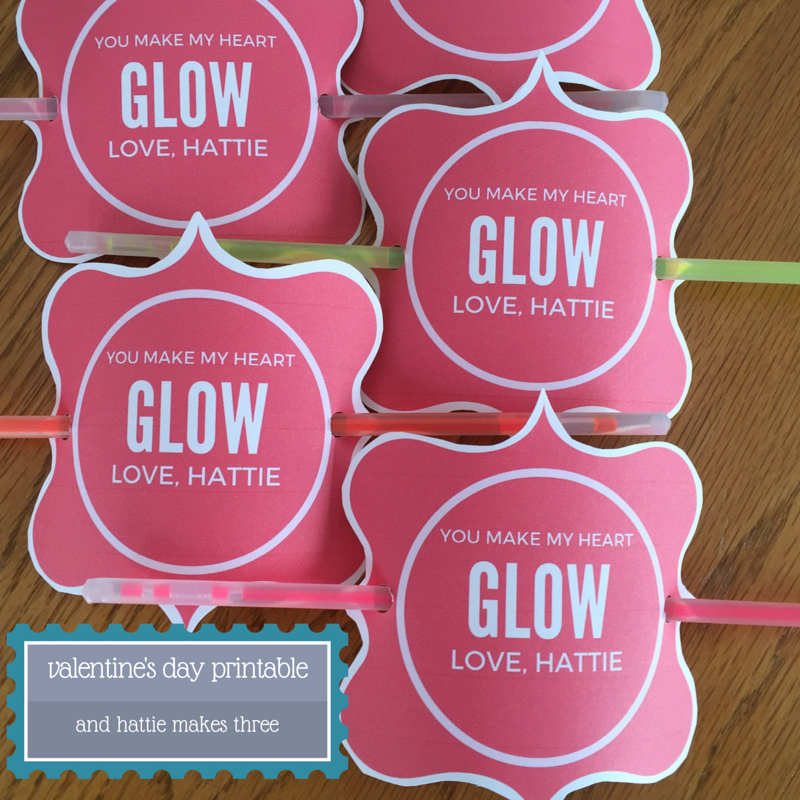 Valentine’s Day Printable – You Make My Heart GLOW! At our house right now, Hattie is really into glow sticks. For the inexpensive cost of them at the $1 store, it’s a fun activity to play with. Which got me thinking of a cute valentine that we wanted to put together to share in the glow stick fun with our friends! Gone are the day where you buy the box of Valentine’s and pass them out, everyone wants a fun little trinket or candy to go with it. Since not all parents love getting a random bag of candy (this mom included) I thought how much fun could glow sticks be for the kiddos. Just print out the printable on card-stock, cut around the edges, make 2 holes on either side and slide the glow stick in! Be sure to include the adapter so you can use it as a bracelet and maybe an extra one for fun! Such a fun Valentine! When the power was down at our house a few months ago we survived the night using glow sticks, no joke! The dog even had a glow stick collar lol. So cute! Noah loves glow sticks too! So adorable! Elin loved the glows sticks!!!! These were great!! The glow sticks were a total hit at bath time! That is a great idea! Love this as a small gift for my kids! Thanks! This craft is so easy and so cute! I'm going to try this with my son!